Whether you are too busy at work to take your lunch break, or you want to cozy up indoors on a Friday night with a pizza and some cake, there is nothing more convenient than to have your meal delivered right to you! 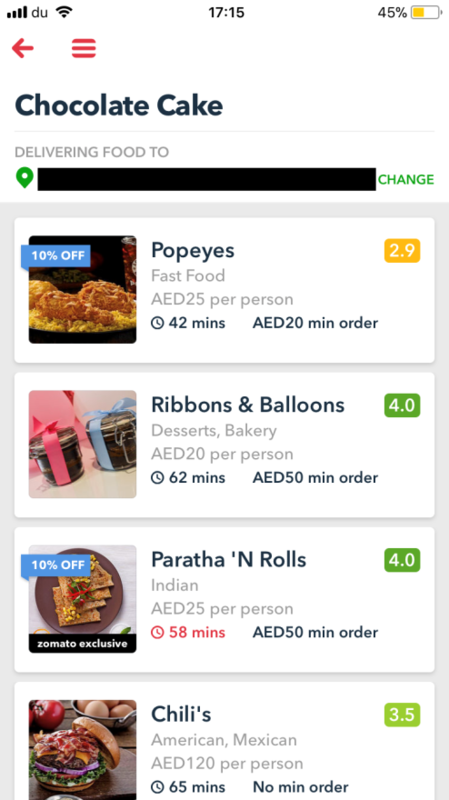 🤤 But Dubai’s ever increasing demand for food has also resulted in a lot of food delivery apps, and it can get quite confusing to figure out which one will work for you. ▸ This is the only app that provides you with detailed ratings and reviews of the restaurant and what it has to offer. 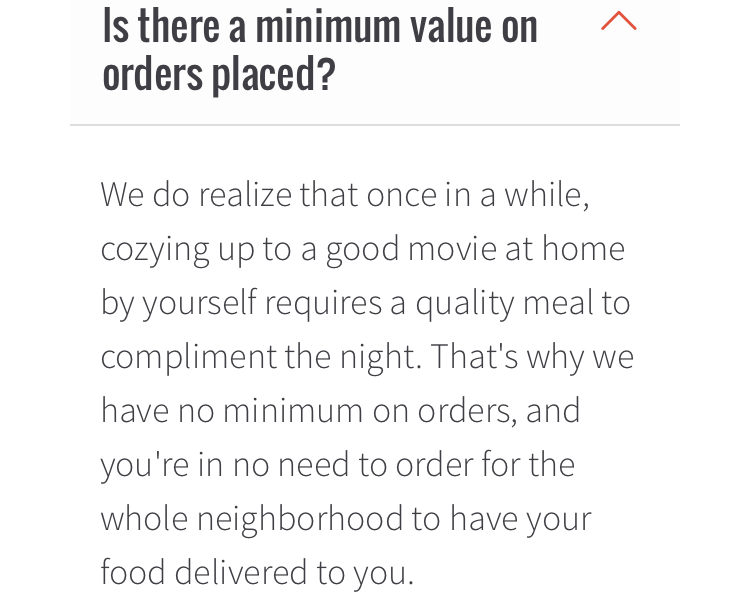 ▸ The minimum delivery amount depends on the individual restaurant and not the app. ▸ There are a wide variety of discounts, offers and complimentary ‘Zomato Treats’ on offer regularly. ▸ When the estimated delivery time is up, they send you a message asking if you’ve received your order. 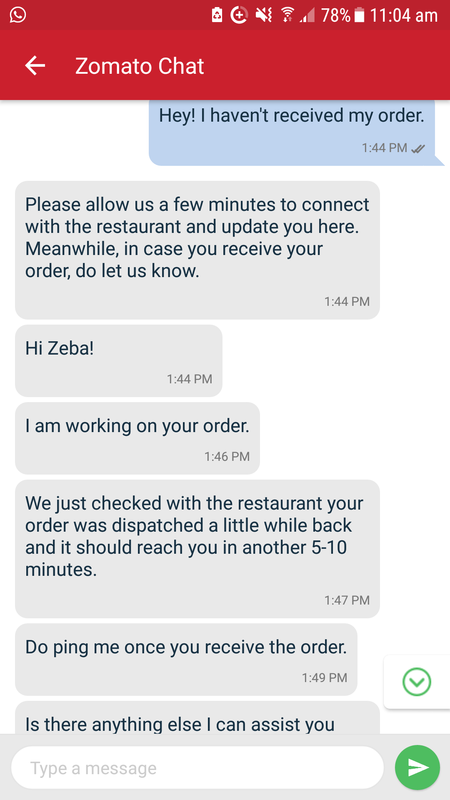 In case you haven’t, and you click on “No”, an automatic message is sent to Zomato Chat. They even call up the restaurant and check up on your order for you! 🤩 ▸ The app allows you to describe your location as you wish to, which is handy especially in Dubai as we associate locations with nearby landmarks as opposed to street names/numbers. 🏡 They also have the option to automatically identify your location. 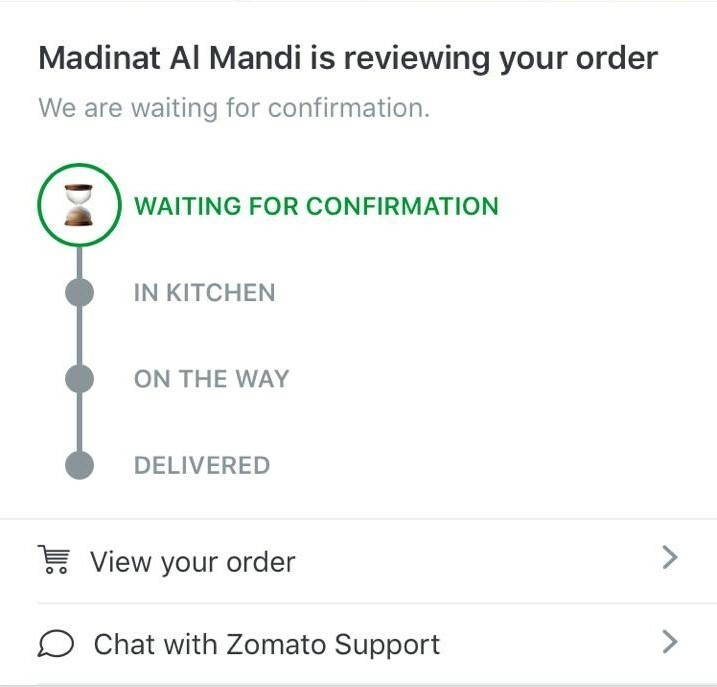 ▸ You can track your orders, right from confirmation (that the order has been accepted by the restaurant) up to delivery. ▸ This is the only app that lets you schedule your orders for up to five days after the date you are booking on! 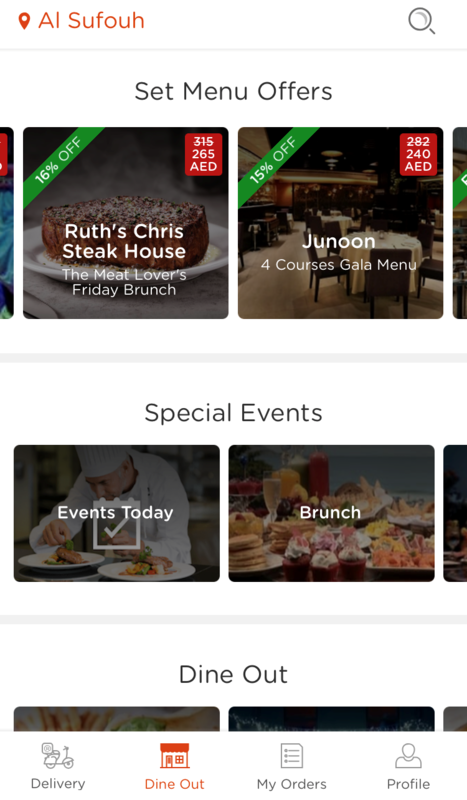 😱 ▸ Like TripAdvisor, UberEats classifies its options with dollar($) signs to give you an idea of the price range of the restaurant. ▸ The app provides a column where you can further list any special requests you may have with your order. ▸ They do not have a minimum delivery amount limit. ▸ It informs you about minimum order amount, delivery charge and mode of payment accepted, all at one glance whilst going through the list of restaurants. ▸ Cash on delivery option is available. ▸ They provide a good range of restaurants to choose from, along with customer ratings. ▸ While placing your order, it allows you to place special looking requests, such as allergy notes. ▸ Only allows payment by Credit/Debit Card. ▸ They don’t have a strict minimum order amount, BUT if your order is under AED 25 you have to pay a surchage of AED 5. ▸ The app does tend to have some glitches that may not allow you to checkout successfully. ▸ You can place an order without creating an account. ▸ There is no minimum order amount limit. 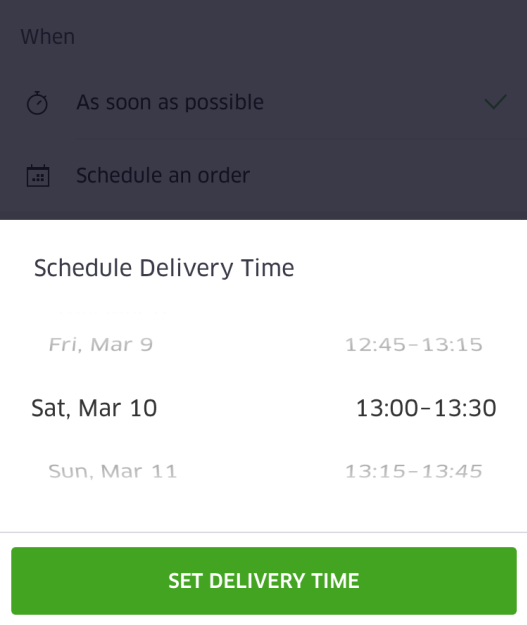 ▸ You can set expected delivery time to any time (in half hour intervals) during the day you are ordering. ▸ The app tends to have glitches. ▸ McDonald’s delivery not available. ▸ They have partnered up with Careem to deliver orders. It also allows you to log in using your Careem account. ▸ They have a ‘Dine Out’ section that features specials offers and discounted deals. You can make a booking of your choice via the app and also use and/or earn Etisalat ‘Smiles’ in the process! 😃 ▸ They have a variety of restaurants to choose from. ▸ They have no minimum delivery amount limit. ▸ It only caters to very limited areas in Dubai – Dubai Marina, JBR, Dubai Media City, Dubai Internet City, Dubai Knowledge Village, JLT, Ibn Battuta, Discovery Gardens, Barsha, Barsha Heights. ▸ It only accepts cash on delivery. ▸ At a glance, the app provides you with essential information which makes it very easy to make a choice (such as user rating, minimum delivery amount, delivery fee, estimated delivery time, mode(s) of payment accepted). ▸ They have a very good range of filters to help you narrow down your search. ▸ Modes of payment vary from restaurant to restaurant. Cash on delivery option is the only one that applies to every restaurant. ▸ May not be updated with limited-time deals offered by the restaurant. ▸ There is no minimum delivery amount limit to your order. ▸ AED 6/- delivery fee is applicable to all orders. ▸ May not include special deals offered by the restaurant. Although none of them have managed to perfectly cover all bases yet, Zomato seems to be at the top of the food delivery game at the moment. 🥇 But in this ever-evolving industry, it is only a matter of time until everybody else steps up their game and gets us really spoilt for choice! 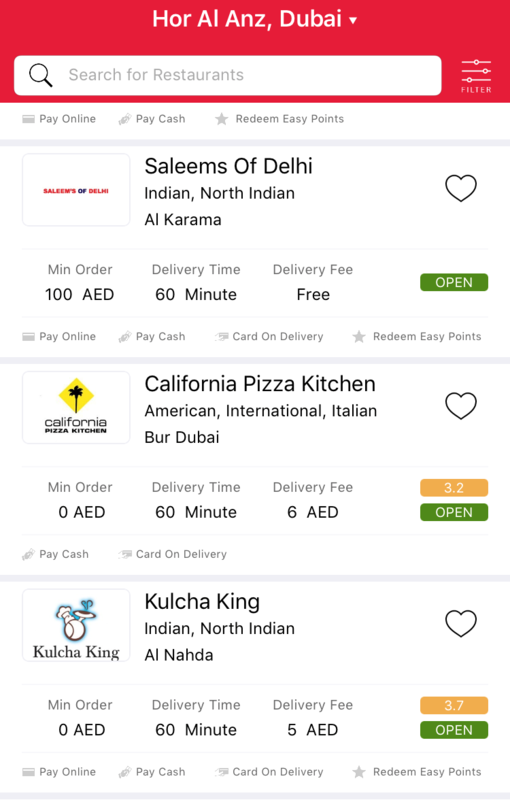 Spoonfed, Ubereats, Eateasyand Roundmenu are not even available In Abu dhabi. 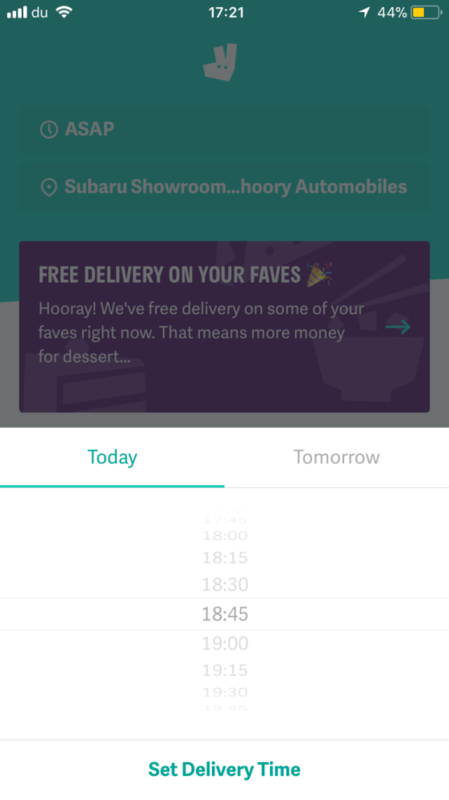 Deliveroo has a list of really highend places and nothing else and the places we want delivery from like Five guys, they can’t send one from Marina Mall, abu dhabi to the City. The one and only trusted site I keep going back to is Zomato. This was so helpful. Zomato all the way! Great post indeed! I usually use Zomato and Roundmenu for my food order. Both are best and offering best deals and discounts time to time. 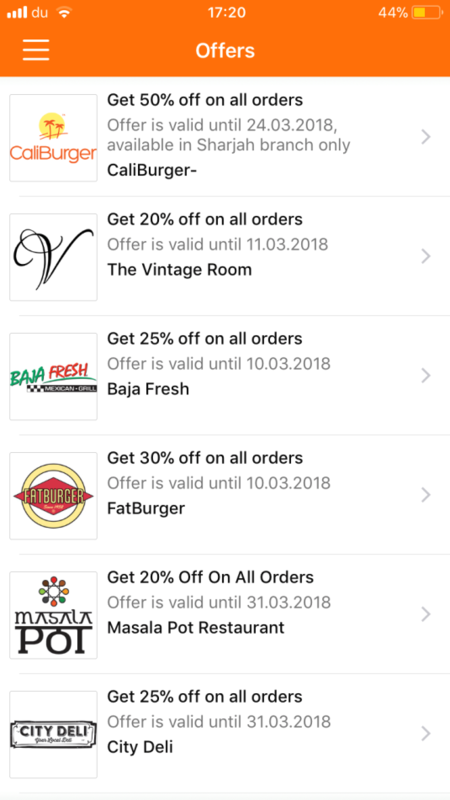 Best Zomato coupons always helps you to save extra money! Thank you! The link doesn’t work though. That’s descriptive post Indeed !